Block access to any USB port, CD/DVD drive, network port, or button on your computer! The CoverLock is the convenient, low cost solution to computer hardware security. 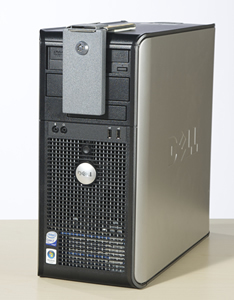 It comes in four different sizes and two different colors to match any computer configuration. 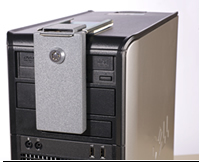 These CoverLocks can restrict or block access to port, CD/DVD drive or even on/off buttons. Choose a size from 2.75"-6.50" to cover the areas you want to restrict access to. CoverLocks can be positioned on the front, back or sides, wherever you need to physically block access. The CoverLock comes in two pieces, the base plate and the blocking/locking piece. The base plate is glued to the equipment, then the blocking/locking piece slides on and off as needed.